How can you as divorced parents do the right thing for your children? Are there any keys to parent well and help your children thrive? Or are you parenting from your own understanding, hoping that the choices you make will fit the needs of your child? Too often we read good parenting books hoping that it will help us to do the right things. That’s okay, but listening to children of divorced parents who know what they are talking about can also help. In 2012 an open letter was published in the Netherlands, entitled:’ To all divorced parents in the Netherlands.’ It was the initiative of an organization that cares for the well-being of children of divorced parents. The children mentioned 7 guidelines that parents should observe when parenting them. Please do not make us choose sides. Do not argue when we are present. Do not say bad things about each other to us. Give us time to get used to the new circumstances. Listen to what we have to say. We mean: really listen! Give us the space to love both of you. Do not forget that you have both chosen us. When we read these guidelines it seems so normal to observe them, but do all divorced parents observe them? When we see guidelines 2 and 3 we know that many parents violate these. With guideline 5, you almost hear the child beg for understanding but feel that their arguments and desires are over-shadowed by the opinions of the parent. In most situations, children of divorced parents only have one wish: that the parents will be together again. That’s why it is so important to them that you treat the other parent (her/his dad or mum!) with respect. In no circumstance use your child as a weapon in the battle with your ex-spouse. If it is about child support, visiting guidelines, following mutual agreements, being present in the life of the child: do not let the other parent down. Your child loves him/her! Parents of divorced parents need an extra portion of grace to be there with the right attitude towards the ex-spouse. Ask God for that grace and He will give it to you. 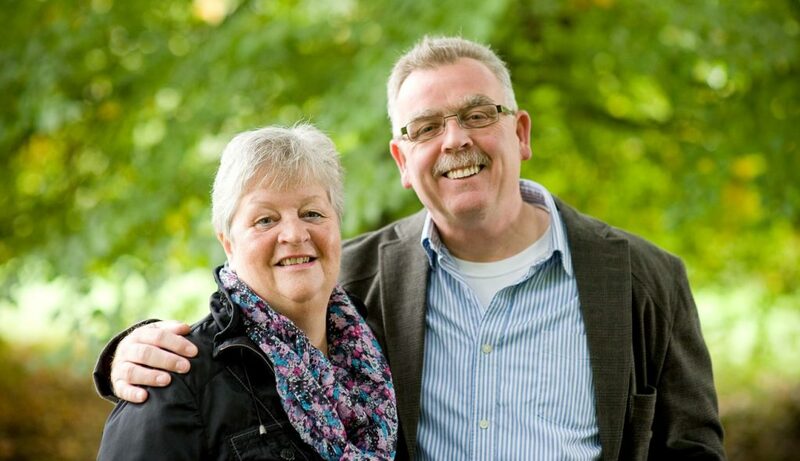 Bram de Blouw (1954) works together with his wife Helma with YWAM-Family Ministries in the Netherlands. They have specialized in marriage coaching and divorce care. They have been married for 40 years and have 3 married children (one divorced and remarried). 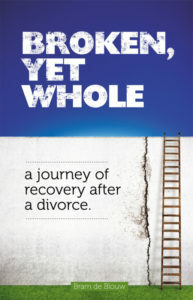 His book on recovery after a divorce has been translated in English, ‘Broken Yet Whole’ and is available through the web shop. Bram’s Dutch website: Gebroken en Toch Heel.